Oak framed extensions will create a stunning addition to your existing property. 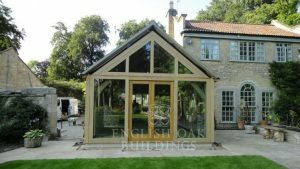 English Oak Buildings have installed a huge range of attractive oak framed extensions that add space, value and interest to the original structure. 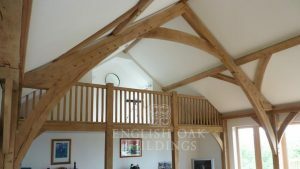 Whether you want a larger kitchen with farmhouse-style timber beams, an inviting extra bedroom for guests, or a functional and striking study or meeting room, then we will help you realise your brief. 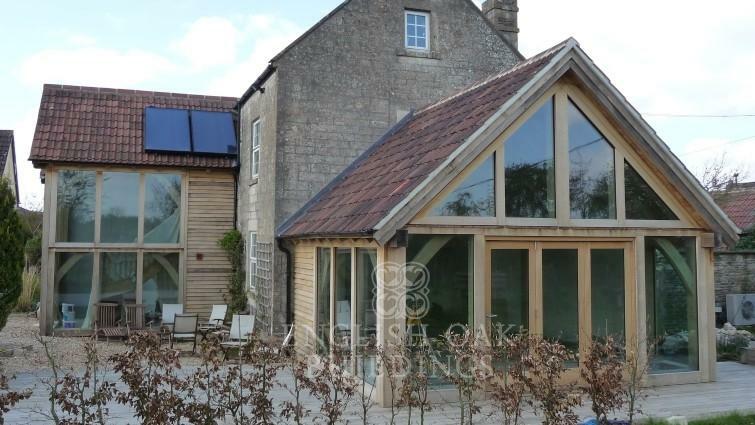 Our expertise in designing and building oak extensions means the new space will seamlessly flow into your existing property, making for a beautiful and impressive addition to your home. See some of our favourite green oak framed extensions here.